Richmond upon Thames TW Dry, Steam Upholstered & Leather Sofa Cleaning | Quality Property Care Ltd.
Do not hesitate to call us and make a booking or ask for more details about our expert upholstery cleaning services in Richmond upon Thames TW. Dial this phone 020 3746 4287 and reach our kind and polite customer care representatives. They respond to customers service support and will arrange a visitation by the skillful and professional sofa cleaners for you as soon as possible! Please note that if you order more than one service, you will get a special discount from us! All regular and loyal customers also receive a promotional price! Quality Property Care Ltd. professional sofa upholstery company offers high quality and safe commercial and domestic upholstery cleaning to its growing number of clients in Richmond upon Thames TW and the area. 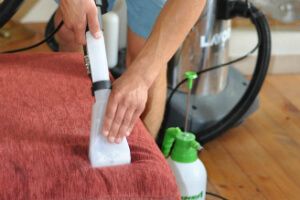 Quality Property Care Ltd. offers expert dry sofa cleaning or steam sofa cleaning, as well as leather sofa cleaning, suede sofa cleaning and sofa stain removal. The cleaners use the latest solutions and technologies in the cleaning business to safely and efficiently clean all kinds of upholstered furniture, including: your settee or couch, loveseat, traditional sofa, convertible sofa, settee, sectional sofa, divan, sofa bed, hide-a-bed, couch bed, sleeper sofa, and also offers bed bug mattress treatment, curtain cleaning, mattress cleaning, blinds cleaning and drapery cleaning. Booking combined services will get you a very attractive discount! Dear customers, please note that if add another service to professional sofa and upholstery cleaning, you will get a specific discount. Quality Property Care Ltd. company can offer you the hassle-free and top-notched offer of Bed Bug Mattress Treatment + Mattress Cleaning. It removes and destroys bacteria, dust mites, fungal spores and other harmful debris. The service involves application of intensity ultra-violet light and all debris and dust are gone. This is extremely important for the protection against dust runny nose, asthma, allergies, depression (not 100% scientific evidence), itchy red eyes, headaches, eczema. Keep in mind that mattress cleaning is uses no moisture and besides the mattresses we clean the pillows, too. Mattress Cleaning + Bed Bug Mattress Treatment is suitable for hotels, hostels, hospitals and everything that has beds. We’ve cleaned a wide variety of furniture types, ranging from couch to settee, loveseat, traditional sofas, convertible sofas, sectional bed, divan, settee, couch bed, sleeper sofa, hide-a-bed with an even wider range of material coverage. In terms of upholstery materials we can clean woolen, cotton, synthetic, linen, silk, viscous, flush, organic fiber, sued, leather, acrylic, chenille, vinyl and quite a lot more. Get a free quote today! Call us on 020 3746 4287 and get your offer right away! Don`t waste even more time and make an order for our top-notched upholstery sofa cleaning services in Richmond upon Thames TW at a bargain price!